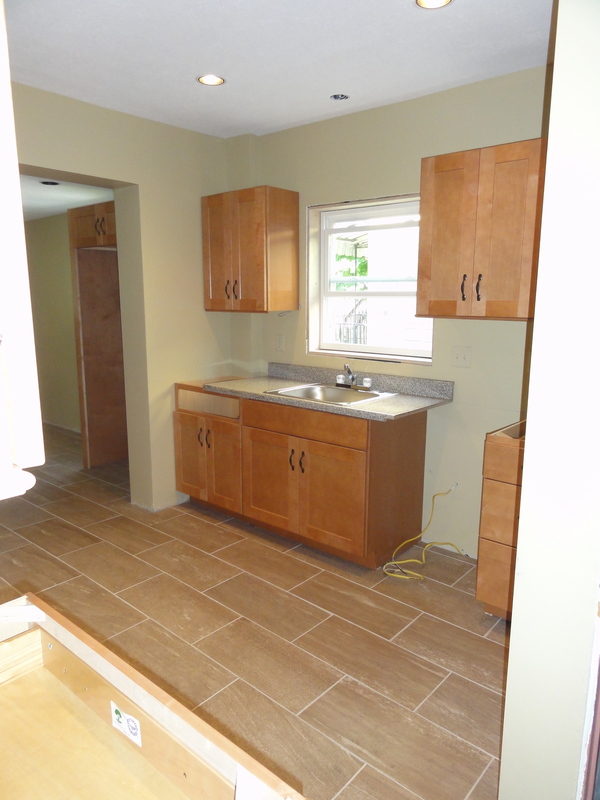 Today begins the eleventh week of our kitchen renovation, and things are finally starting to shape up. 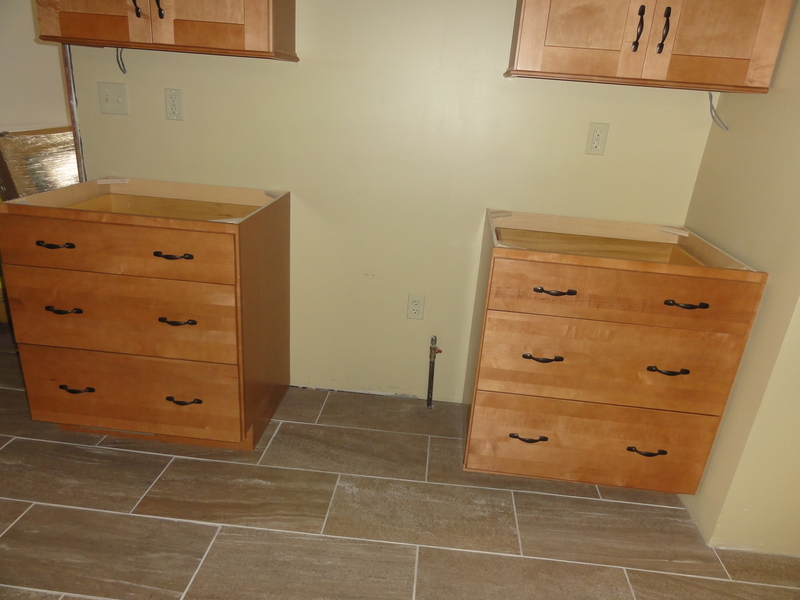 Weeks nine and ten saw the new tile floor grouted and sealed, the cabinets and hardware (mostly) installed, the recessed lighting completed, the stove and refrigerator returned to their new home, and a temporary sink hooked up. And the new kitchen window is in. Yes, I now have a (sort of) functional kitchen. Yeah, there’s still a lot to do, but it finally looks like this job will get done before the snow flies. I took this picture before the stove was moved back into the kitchen. Lots of drawers for pots and pans and cooking utensils. It’s still in need of range hood and trim, but the interior wall of the kitchen is really shaping up. I will have a couple more feet of counter space on the exterior wall. It might not sound like a lot, but it will make a big difference. 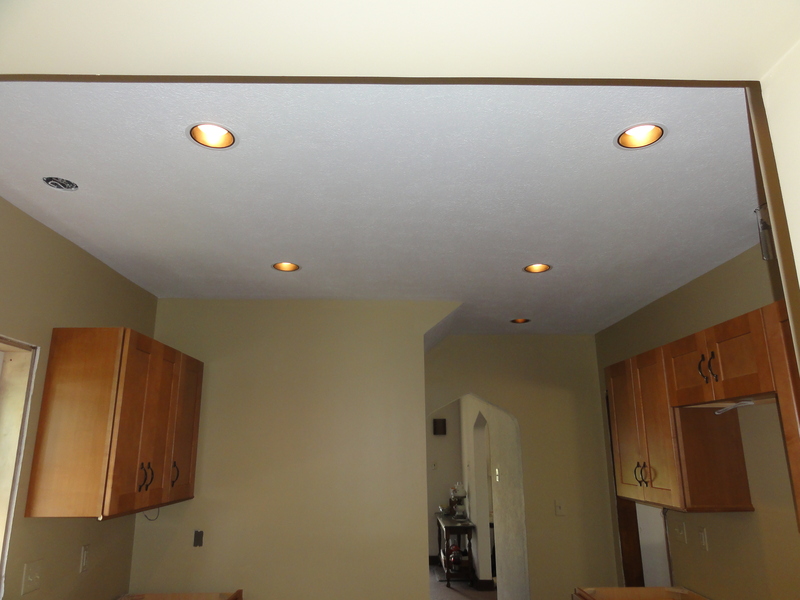 The recessed lighting is finished. The lights are all on dimmer switches, which adds a lot of flexibility to the lighting. One of the new windows is in, and a temporary sink. 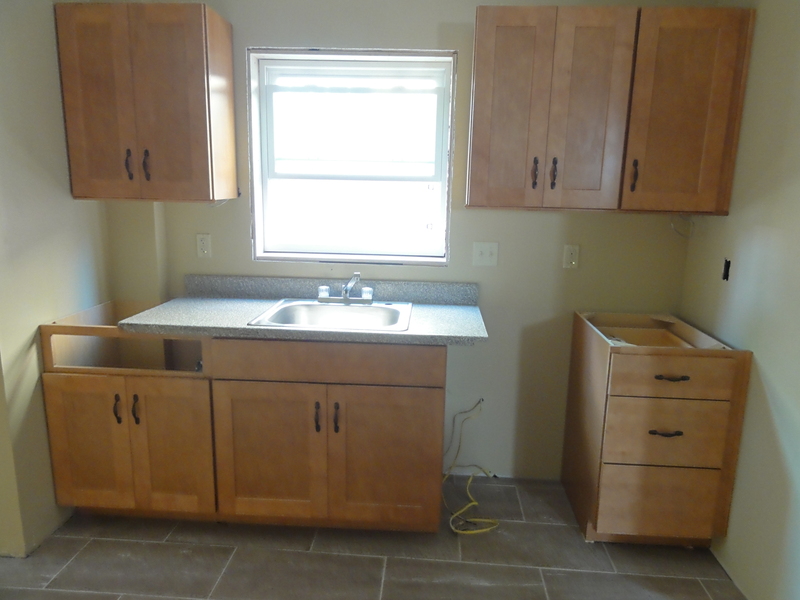 There will be a pendant light over the sink. 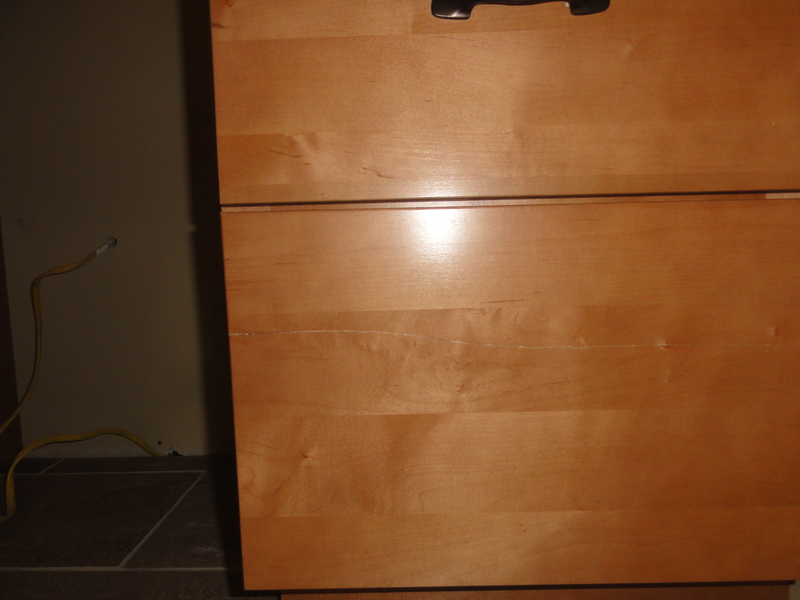 The bottom drawer of this 3-drawer base unit arrived with a big split in it. 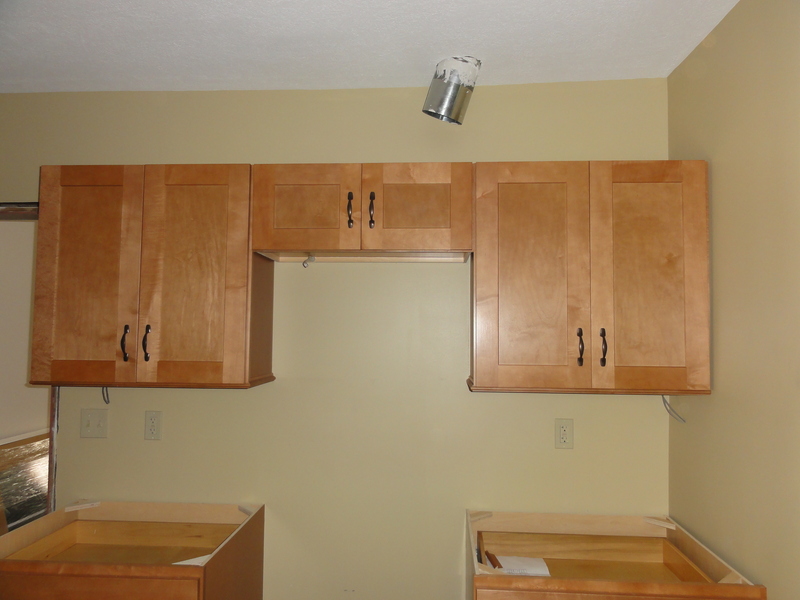 Otherwise, the cabinets were in fine shape.